A linguist by training, Professor Bolozky specializes in Hebrew phonology (sound systems of languages) and morphology (word formation). His work centers on natural phonetically-motivated processes and on word-formation patterns and productivity. 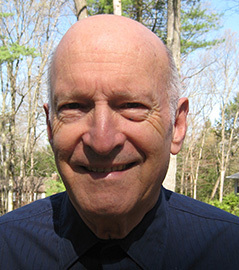 He believes that linguistics is a powerful tool in language instruction. He is the author of Measuring Productivity in Word Formation: the Case of Israeli Hebrew (Brill, 1999) and Barron's 501 Hebrew Verbs (Barron’s Educational Series, 1996 and 2008). He co-authored A Reference Grammar of Modern Hebrew (Cambridge University Press, 2005). He is Associate editor of Brill’s Encyclopedia of Hebrew Language and Linguistics and is a member of the editorial board of Hebrew Studies, Shofar, and Journal of Higher Hebrew Education. He served as President of the National Association of Professors of Hebrew (NAPH), and currently is the Associate Director for Hebrew at the National Middle East Language Resource Center. Ph.D. in Linguistics, Department of Linguistics, University of Illinois, Urbana, Illinois, 1972. M.A. in English Language, University of London, 1968. B.A. in English Literature and Middle Eastern Studies, Hebrew University of Jerusalem, 1965.